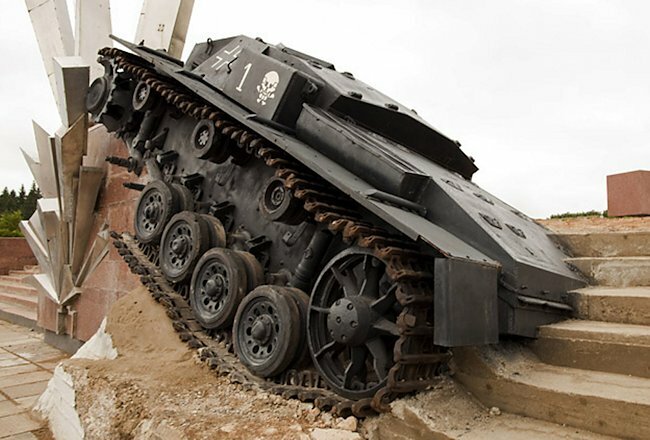 In the late 1970s reports came to the authorities of a German Stug III Ausf D being found on an old battlefield. 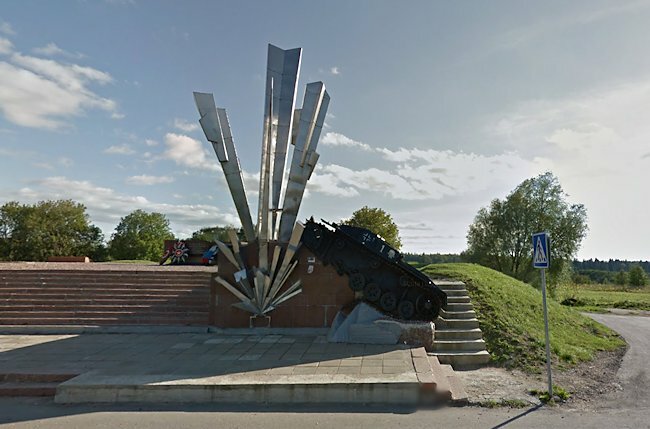 It was recovered and it was decide it would be used as a war memorial to those that lost their life in the siege of Moscow in 1941. 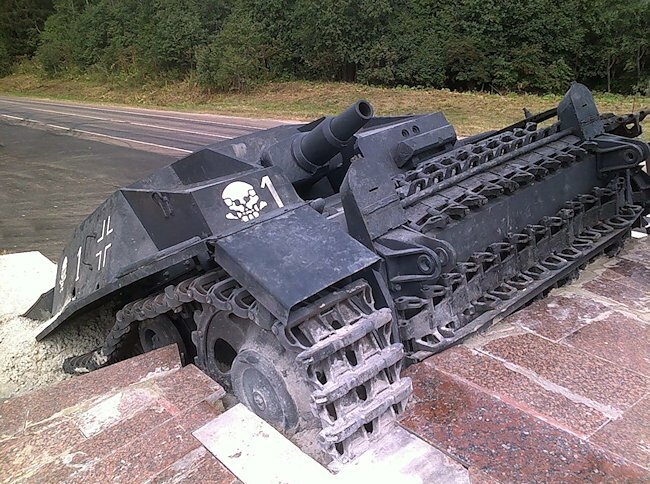 It was a very early version of the StuG III. 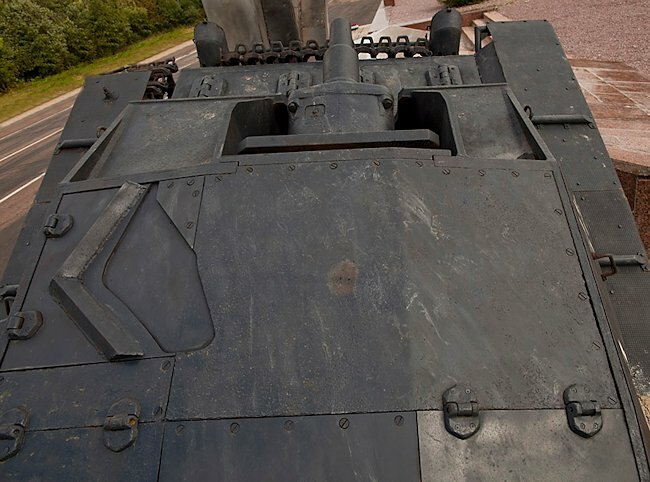 Only one other had been restored at that time and was kept in the Swedish Tank Museum. It was very valuable. 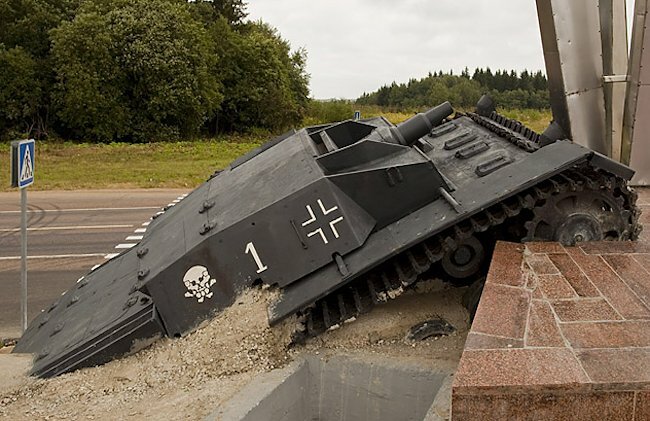 In 2010 the war memorial was rebuilt and the StuG III sent away for restoration. A thief stole many parts from the vehicle during the restoration process and sold them on the black market. 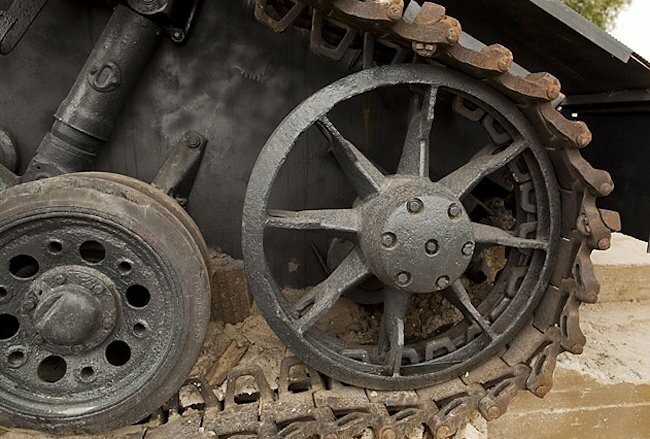 These parts were replaced with parts from other more modern and less valuable WW2 StuG III wrecks or newly fabricated. He was captured but after a three year trail there was not enough evidence to secure a conviction. 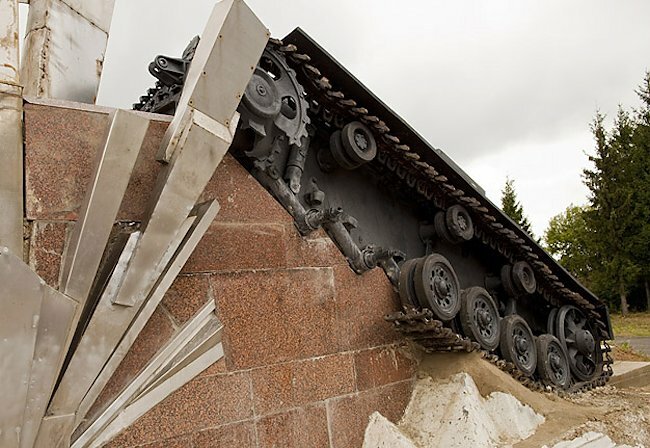 On the site of the memorial eleven Red Army engineers reputedly held up the German Army’s advance on Moscow by destroying twenty of its tanks. The date of the action, 18 November 1941, is marked on the side of the marble structure. The Russian city of Volokolamsk is 120 km west of Moscow. The Memorial is located to the east of the city on the road that goes towards the town of Anino. This is a local road that runs parallel and just north of the main M-9 E22 road.It is about 5 km from the city centre of Volokolamsk. On 16 June 1936, 2.GenStbH (2nd Department Of the General Staff of the Army) answered in a memorandum: I) We agree on the technical development of a Sturmgeschütz (assault gun) and on its tactical commitment. a)The task of the Sturmartillerie is to destroy enemy machine-gun (MG) positions. This task will be performed within the scope of the infantry attack and at firing ranges of maximum 4km. 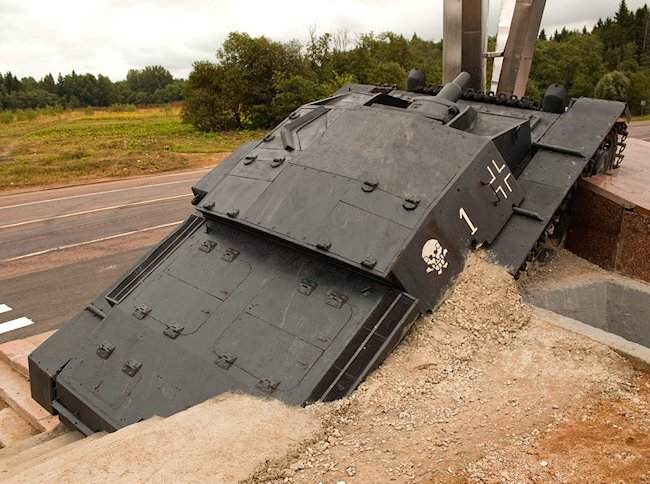 Thus it is a weapon of the infantry, and has not to perform artillery duties Therefore, there is no need for shooting ranges of 7km or being fitting With indirect sighting devices. b) At the same time the Sturmartillerie has to totally fulfill the tasks of the which is currently under development. Thus double development work will be avoided.